With the debate around Carrier IQ beginning to heat up, all the companies that don’t use the software are piping up. Quick to clean their hands of the mess, Apple and Microsoft have both made statements about Carrier IQ. Microsoft denies using it entirely and Apple says that it’s been off the app since iOS5 and is now clean and sober. The big question here is the word “most.” It means that some iOS 5 products still use Carrier IQ, but we don’t know which ones. And if you haven’t yet upgraded to iOS 5, your iPhone or iPad is likely using Carrier IQ as well. 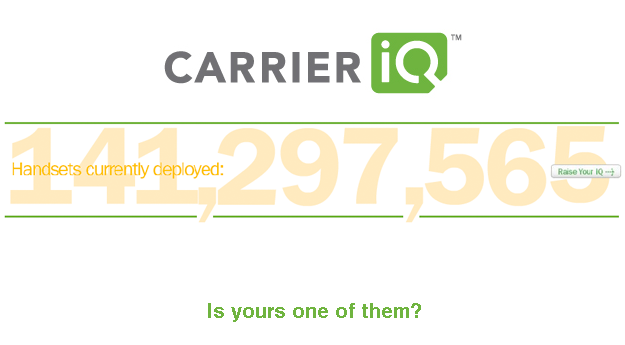 If not Carrier IQ, then what? The fact that iPhones and Windows Phones will not be using Carrier IQ is strange, as it means one of two things: either carriers are getting diagnostics only from Android phones or that Apple and Microsoft are simply using competing services (or their own) to deliver this data to wireless carriers. Do these services record more info than they’re supposed to as well? To see if you have Carrier IQ on your handset, check out our roundup of which manufacturers and carriers use Carrier IQ.